So, we are close to being settled in our new home. We had to get outside over the weekend to get some fresh air. The temperature is much lower than we are used to but everyone bundled up and there were no complaints. We were simply happy to be outdoors. 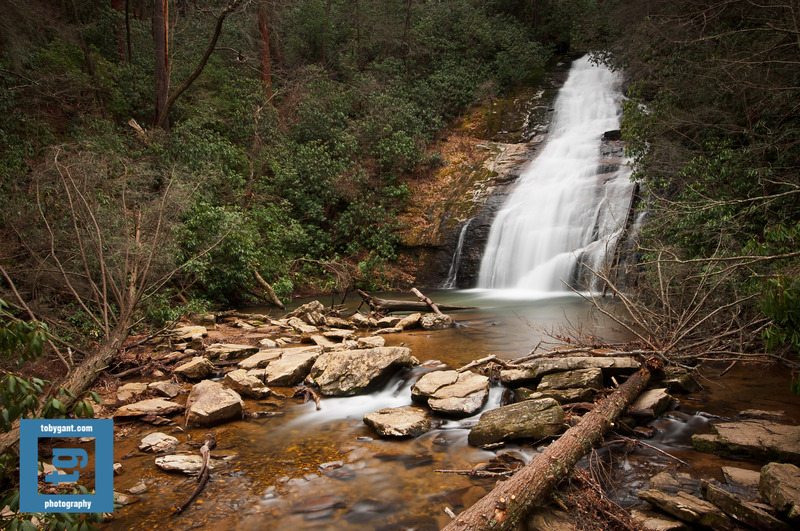 We spent much of the day at Vogel State Park near Blairsville, GA. Leaving the park we noticed a sign just down the highway that said Helton Creek Falls. With a couple of hours of light left in the day we decided to investigate. Good thing the Subaru has all-wheel drive, the narrow road that snaked around the mountain crossed mountain streams. There were no bridges. There was simply road, then water, then road. But, the Suby handled the creeks like she normally does and it was all adventure from there. The falls are isolated. We were the only people there. The remoteness coupled with the incredible sights and sounds made the entire trip for me. I will go back to see the falls every opportunity I can find. As always you can find full resolution images on my site at http://www.tobygant.com/helton.